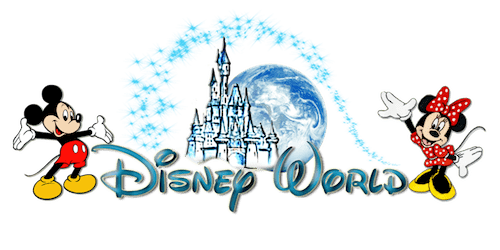 Walt Disney World Resorts in 2019: A Great Place to Take the Kids this Winter. Ever since opening in 1971, Walt Disney World Resort in Orlando, Florida, has been one of the most popular American destinations for people from across the country and around the world. The Best Resort is the real-life realization of Walt Disney’s dream resort. With its 2 water parks, 27 theme hotels, 4 theme parks and 4 golf courses, it is one of Florida’s biggest vacation attractions. That is saying a lot considering that Florida is one of the great vacation destinations in the world. Florida Residents: Save 40% with a 4-Day Disney Theme Park Ticket. How to Skip The Lines At Disney World Orlando? Most popular park at Disney World – Magic Kingdom with its Cinderella’s Castle, the well-known symbol of Disney. This park is a magical, fantasy kingdom with themed attractions and rides that can make children’s dreams come alive. For animal lovers, there’s the Animal Kingdom Park, which is devoted to nature and conservation. As you walk into the park, you will immediately see its 14-story Tree of Life set in the middle of its tropical jungle. This park offers more than 250 species of animals which can be seen as you follow the nature trails and enjoy some of its thrilling rides. In 1982, Epcot Center was added to the complex. It is twice as big as Magic Kingdom and Spaceship Earth is its biggest attraction. Looking like a giant golf ball, one that is 18 stories high, it presides over the park that was built to honor technology, international culture and innovation. All of these themes can be found in its amazing cultural exhibits and fun rides. Yet another popular park, Disney’s Hollywood Studios, is dedicated to the glamour and action of Hollywood with its attractions and thrilling rides that are inspired by top TV shows and popular movies. Its architecture is dominated by 1930s and ’40s themes spilling over into its hotels and vintage streets. Typhoon Lagoon and Blizzard Beach are the two water parks which are open year-round and contain real sharks to spice up your snorkeling and surfing. The Blizzard Beach was built to look like a beautiful winter ski resort. If you’re looking for world-class fine dining, shopping and entertainment, you can make your way over to Downtown Disney. Its boardwalk will remind you of the iconic beach towns that were so popular early in the 20th century. Still another popular attraction is the gigantic Wide World of Sports facility that puts on over 200 sports events every year and is where the Atlanta Braves do their spring training. As you walk around Disney World, you will see parades, shows and concerts that are almost always playing in the parks. There are even elaborate performances of some of the classic Disney stories that you can drop in on and enjoy. Fireworks displays every night add to the excitement of visiting Disney World. If you’re looking for an interesting family adventure, why not visit one of the Disney properties this year? They say you will have the time of your life and they make sure your experience is unforgettable.